In January 2014, members of the Buderim Men’s Shed discussed how they could contribute to the Centenary of ANZAC. There was agreement to recognise the contribution of the Australian Light Horse to World War 1 (WW1) as this was not as prominent as the Gallipoli campaign. 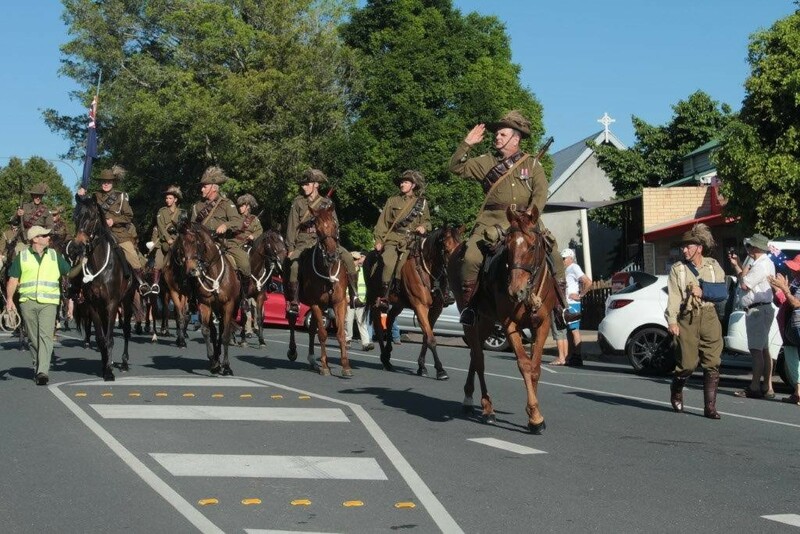 The decision was made to seek financial assistance through the Australian Government’s Anzac Centenary local grants program to build a memorial to the Light Horse regiments of WW1. This would allow the Buderim Men’s Shed to secure the capacity to design and build a memorial to the Australian Light Horse regiments of WW1. 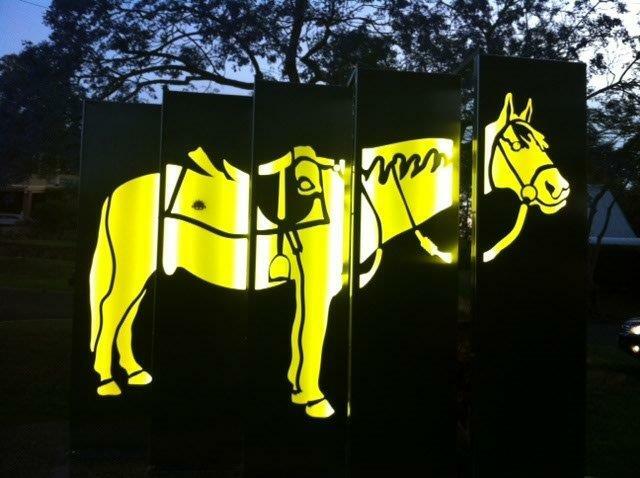 The Buderim Men’s Shed consulted its resident artist Jeff Franklin who suggested a stylised ‘Waler’ horse synonymous with the mounted regiments during this period of war. Following discussions with the Sunshine Coast Council, a suitable location at Woombye was confirmed and acknowledged the presence of two troops of the Australian Light Horse Troops based in the region: one in Woombye and the other in Maleny. The memorial is the result of the Buderim’s Men Shed design, build and installation and is dedicated to the 98th anniversary of the Battle of Beersheba in which the Australian Light Horse regiments played a pivotal role in the final victory in the 3rd battle of Gaza. This battle will continue to be commemorated honoring the Australians of the Light Horse and the New Zealanders of the New Zealand Mounted Rifles to be honored each Beersheba Day into the future. The design of the memorial and its five panels is an outcome of focusing on the word ANZAC. When viewed from either end with the fine lines tapering to an end, represents respect for the passing of the ‘Waler’ into mechanisation as well as the passing of the light horsemen who made the ultimate sacrifice. The memorial reveals a ‘Waler’ looking tired and weary from battle and sad to never return home. The yellow glass and the lights depict the rising and setting of the sun when we remember the loss. 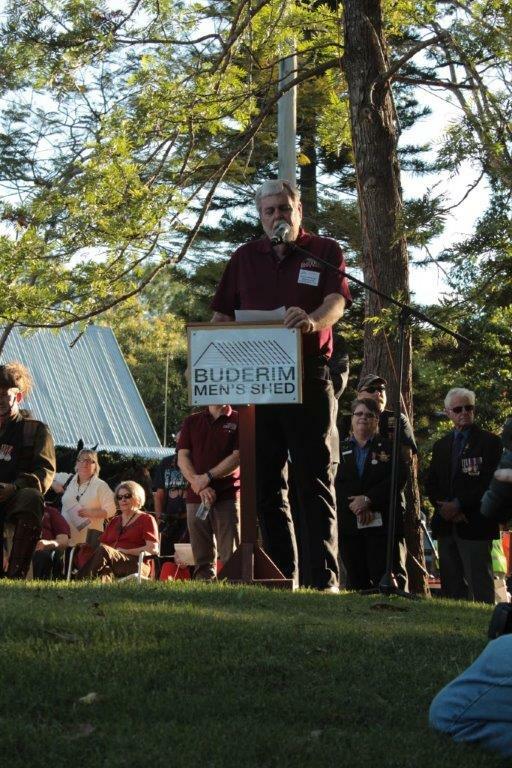 The dedication ceremony was conducted in association with the Maroochy and Nambour RSL’s and the Buderim Men’s Shed.